We are excited to let you know that Plum Pretty Sugar has some exciting promotions over Black Friday & Cyber Monday this year. We will be offering money back on all orders between November 28th and November 30th PLUS starting December 1st we will be offering shoppers a FREE tote with purchase. 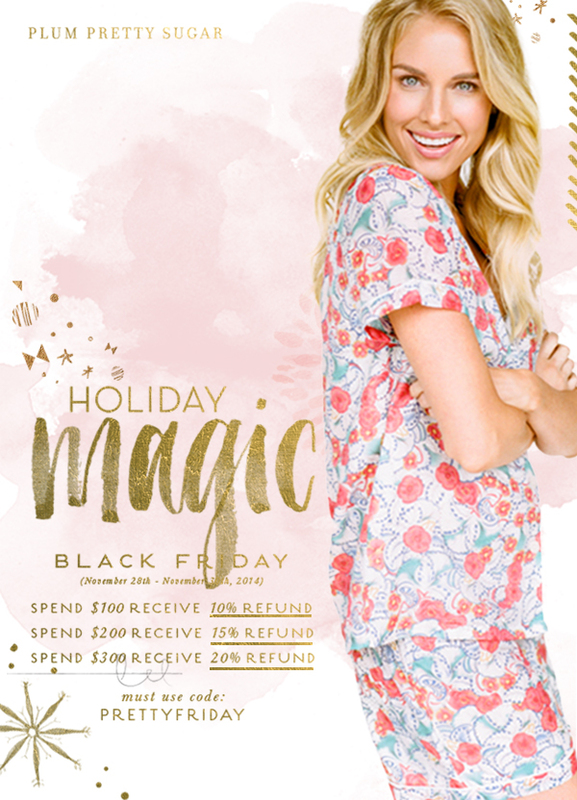 A Black Friday Refund + a Free Tote? That's something you won't want to miss and is sure to increase on site conversions during one of the busiest shopping periods of the year. Additional creative is available within the interface. Your Personalized Tracking Link to the Plum Pretty Sugar Homepage: http://www.awin1.com/cread.php?awinmid=5957&awinaffid=!!!id!!! Think you are a fit for the program? Sign up today!